Normally, this is where I talk about this grilled cheeses cheese (Halloumi) but this week is special and I must first give an update on my life. 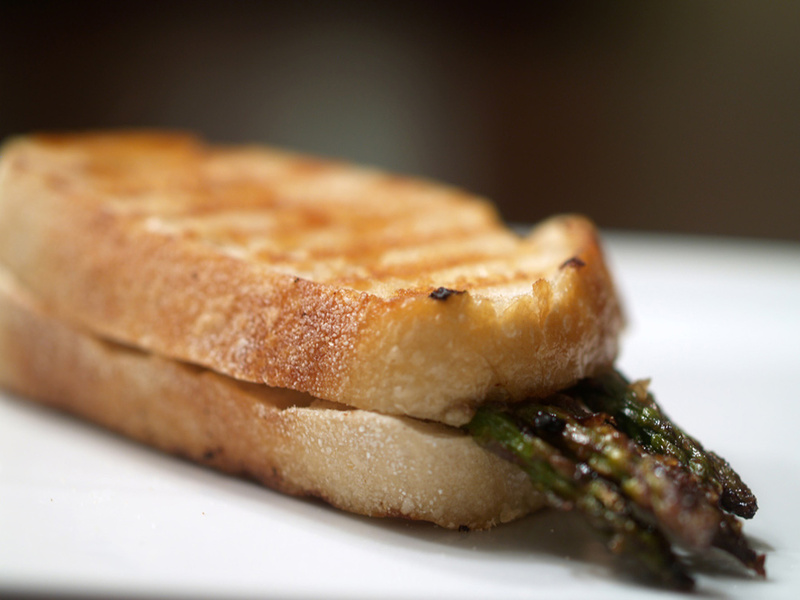 I don’t write too much about my personal life and instead focus only on my grilled cheese sandwiches. I would like to change that with tonight’s update. Not only do I want you to know about my sandwiches, I also want you to know about me and my personal life. Sure, I have an About page, but that is pretty general. Now it is time to learn about the real GrilledShane. Way back when I turned 16, I went out and got a job at a local chocolate shop, where I was a soda jerk. (Awesome job.) After the parlor part of the shop closed, I needed to find a new job. I ended up at the local Cafe Nordstrom. My sous chef found both of these jobs. Smart woman she is. I worked at the Cafe until 2002 when I started interning for college. I did not return until 2006, post-graduation, when I needed a temporary position while I searched for a full-time employment in the design field. I found a webmaster position at a small publishing company but still remained at the cafe on Saturdays. The webmaster job treated me well for three years as I learned a lot, grew as a person and was able to travel to NYC twice. As time went on, I began this blog. And I began to realize that I enjoyed my little boy job (cashier @ Cafe Nordstrom) more than my big boy job (webmaster). I began to realize I loved the food industry. I began to realize I hated sitting at a desk for 8 hours a day instead of being in the “front of the house” with people. I began to realize, over time, that I needed to leave my current big boy job. 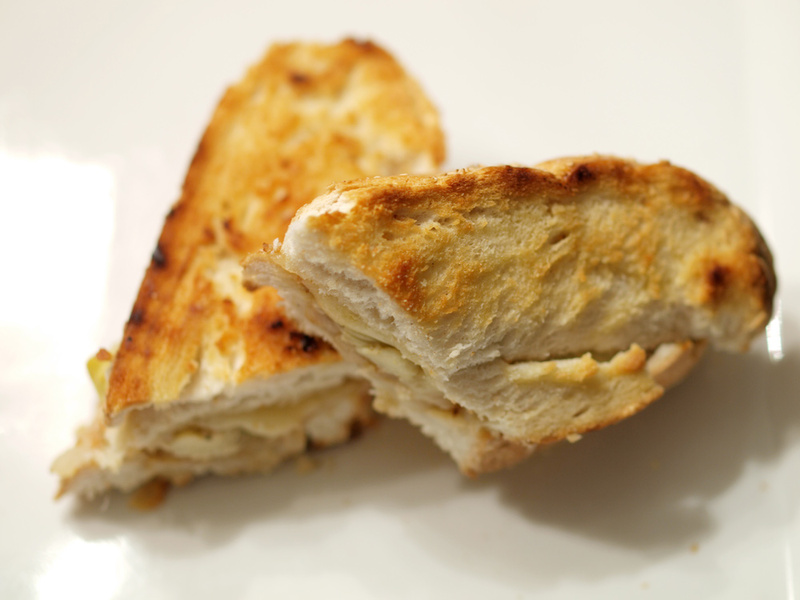 Recently, after scouring the internet for other grilled cheese recipes, I stumbled upon BlueJeanGourmet.com and their recipe for Grilled Halloumi. I have never even heard of Halloumi cheese, yet alone tasted it, so when I was at the grocery store this past weekend I was intrigued enough to buy a package for that night’s Sunday Dinner. Little did I know that mint of all ingredients is actually a staple in Halloumi cheese. 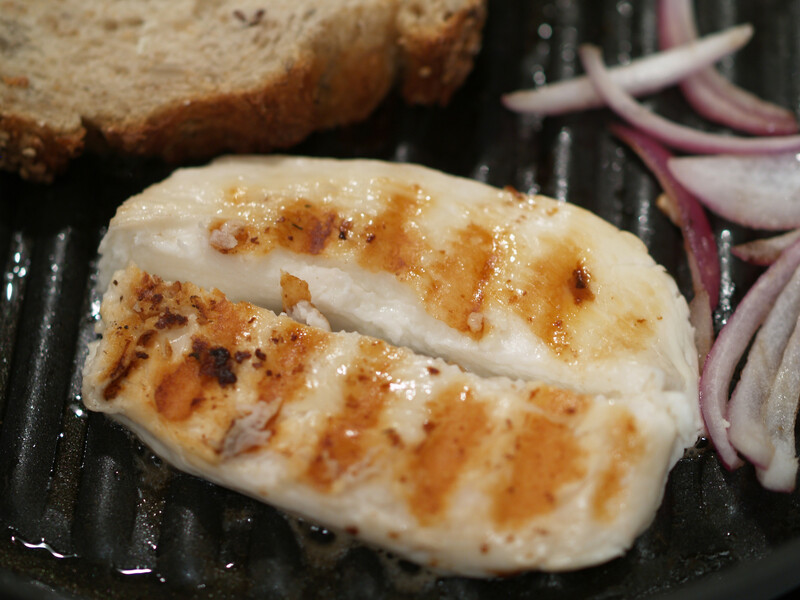 Halloumi cheese has a high melting point so when it is grilled, it does not melt everywhere like most other cheeses. 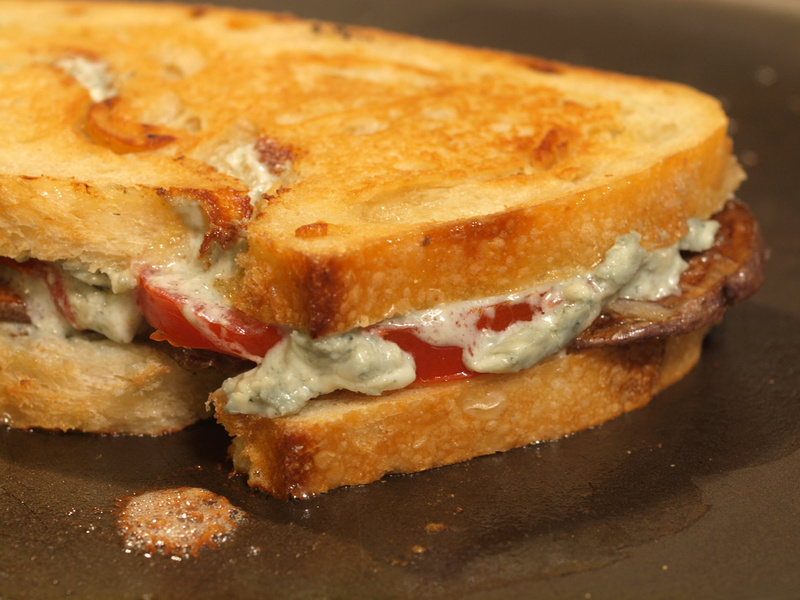 This is the reason I thought it would be good to try for a grilled cheese sandwich. 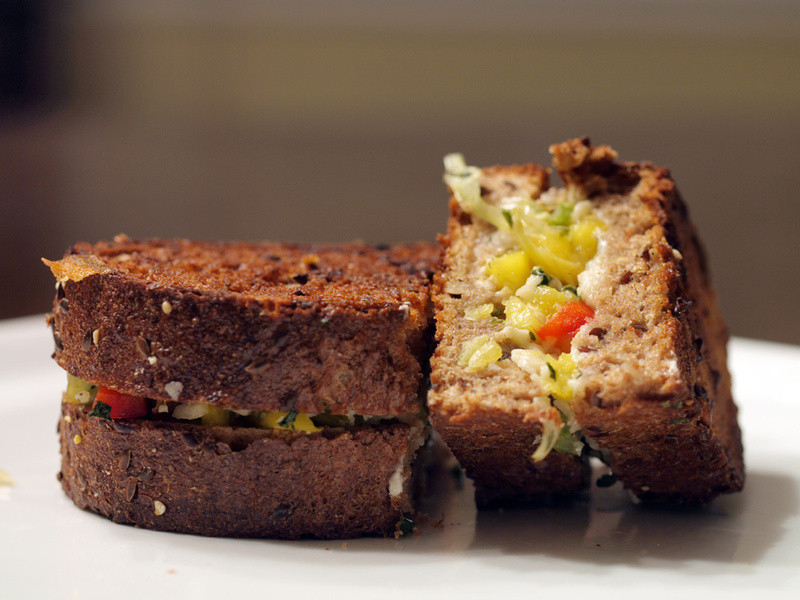 The salty taste described above was evident in the tasting and in the sandwich. 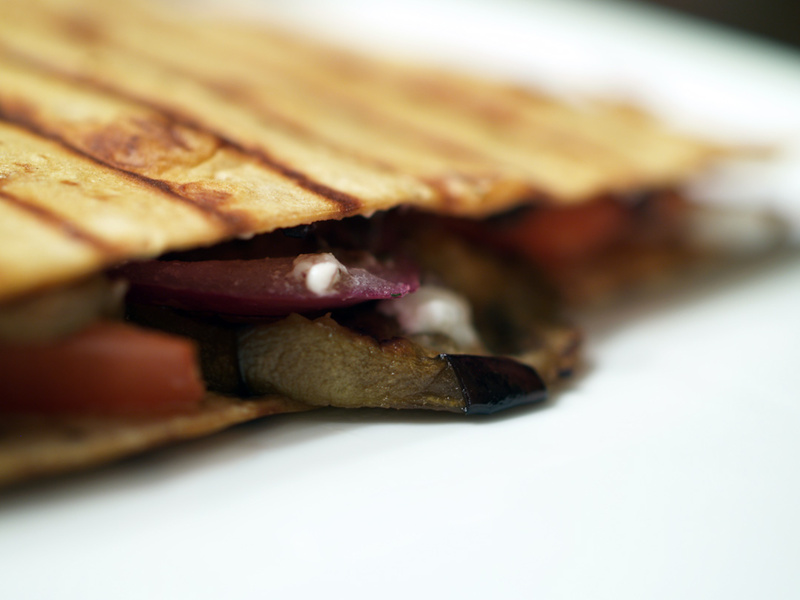 The Halloumi was very interesting and one that I would like to try again. While at the grocery store I concocted the recipe for tonight’s sandwich: Halloumi cheese, eight grain bread and portobello mushrooms. The sous chef decided to add red onion. I only had little knowledge of Halloumi to go on, so I basically winged it. 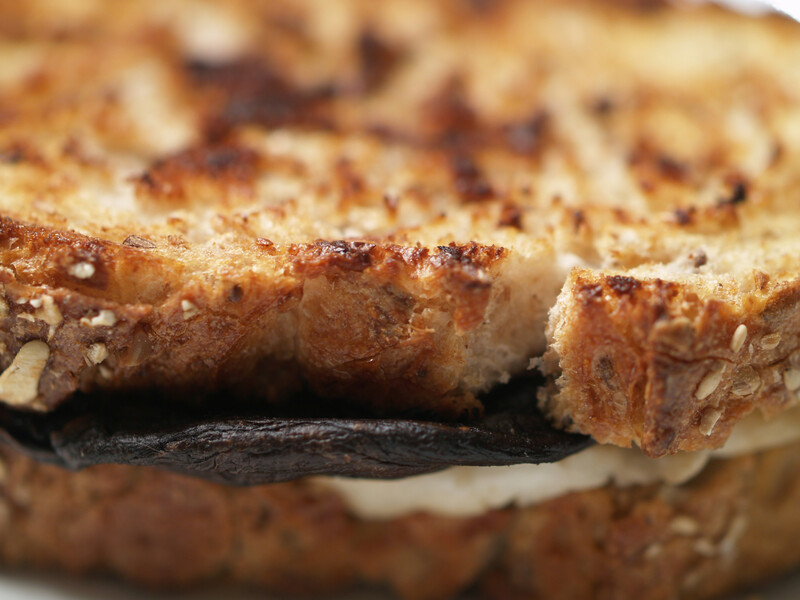 The other star for this grilled cheese, minus the bread of course, were the portobello mushrooms. 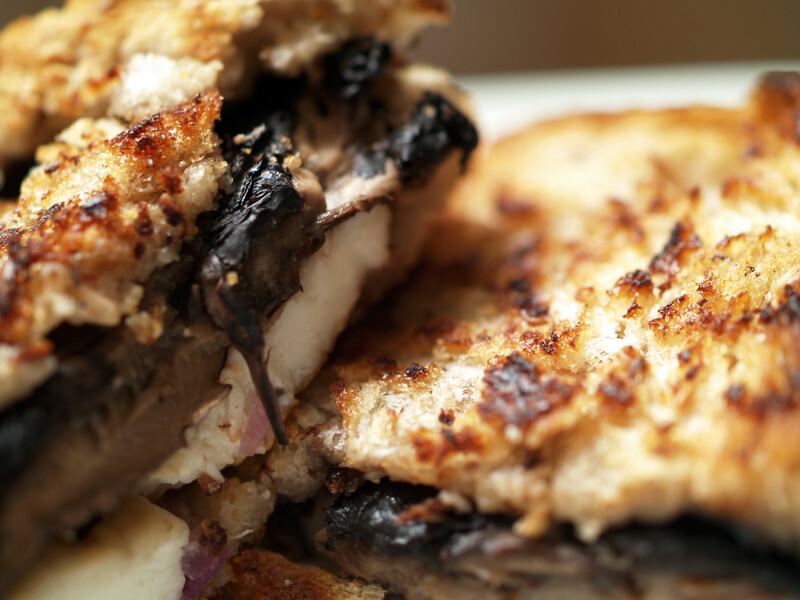 I had originally thought about doing a portobello sandwich instead of the crusted sourdough grilled cheese but passed because the grocery store I was at had a poor selection of bulk portobellos. Since this past Sunday I was at a different grocery store with a better bulk supply, I thought I would revisit these particular mushrooms. The only thing I did to prepare these lovely portobello mushrooms was to grill them in a pan with a bit of olive oil and salt. That is really it. Just to make sure to flip them every couple minutes so that they do not burn. This would even be a good way to eat the mushrooms by themselves, if you are a mushroom person of course. Now onto the cheese. I am still fascinated that one is able to take a cheese, grill it and not end up with a complete mess. Awesome to say the least. 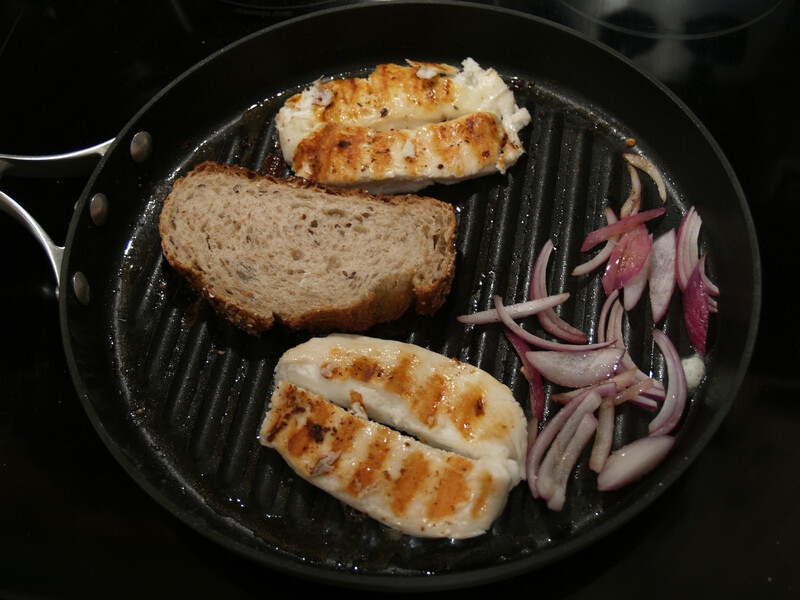 Anyway, since I seem to be a big fan of olive oil, I brushed some all over the cheese and then placed the Halloumi on the hot grill pan. I cooked it for two minutes per side until it was a nice brown color (see above). You can start to see it bubble around the edges, which, I assume, is a good thing. 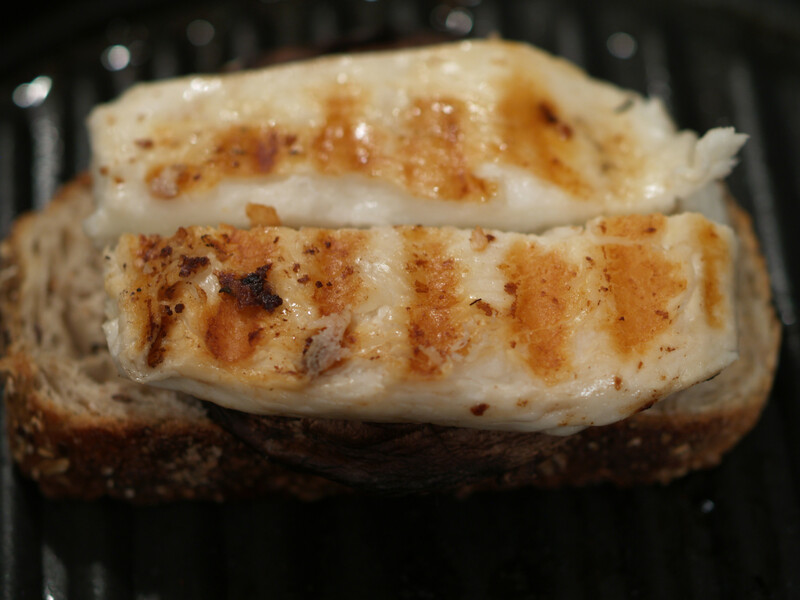 As with the mushrooms after they were grilled, the Halloumi cheese can be eaten right off the grill without any other ingredients or fuss. I may have actually preferred it this way. My father, the taste tester, never really gets to choose any of the ingredients for the Sunday Dinners, so this week, we asked for his opinion. He was with the sous chef and I at the grocery store where he was able to see the various choices for bread. He decided on eight grain, which turned out to be a great choice. The bread, by itself, was delicious and the crust was awesomely crunchy. I am just not sure if it was crunchy enough on the inside to hold all of the heavy ingredients (cheese & mushrooms) within the grilled cheese. My dad did not like last week’s grilled cheese while I did. 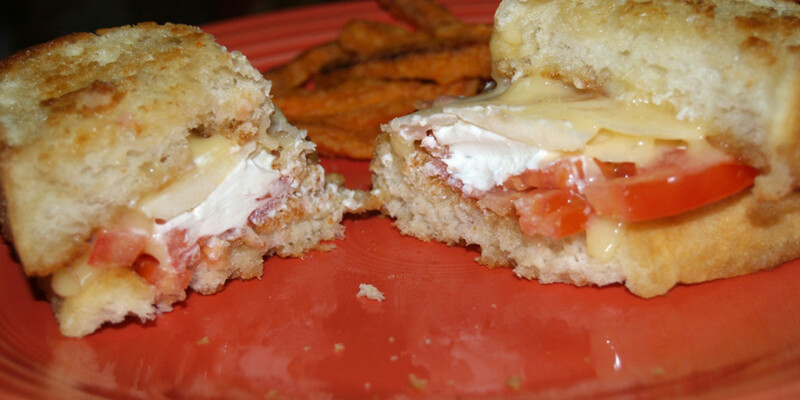 My dad did like this week’s grilled cheese while I did not like it to the same degree. 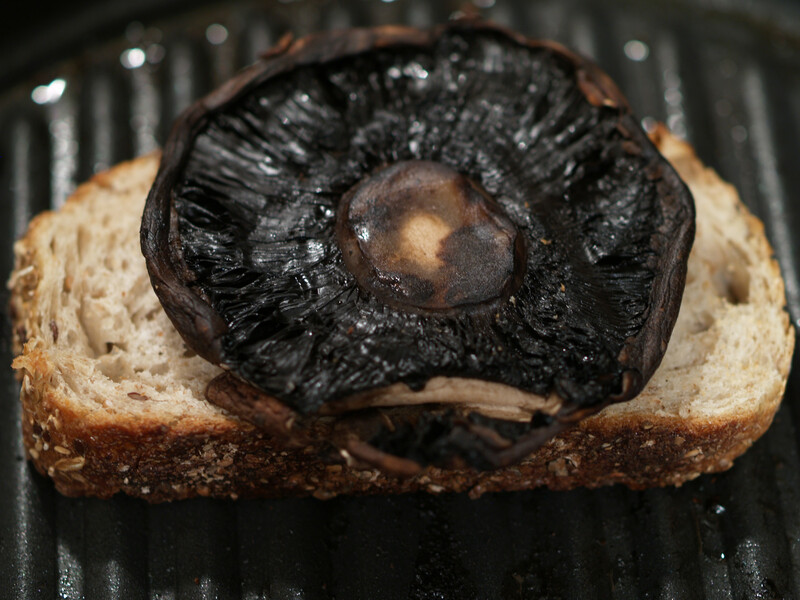 This week, the pieces were perfect, the cheese was salty but good, the portobello mushrooms were a little wet but very flavorful and even the bread was crunchy on the outside but soft on the inside. 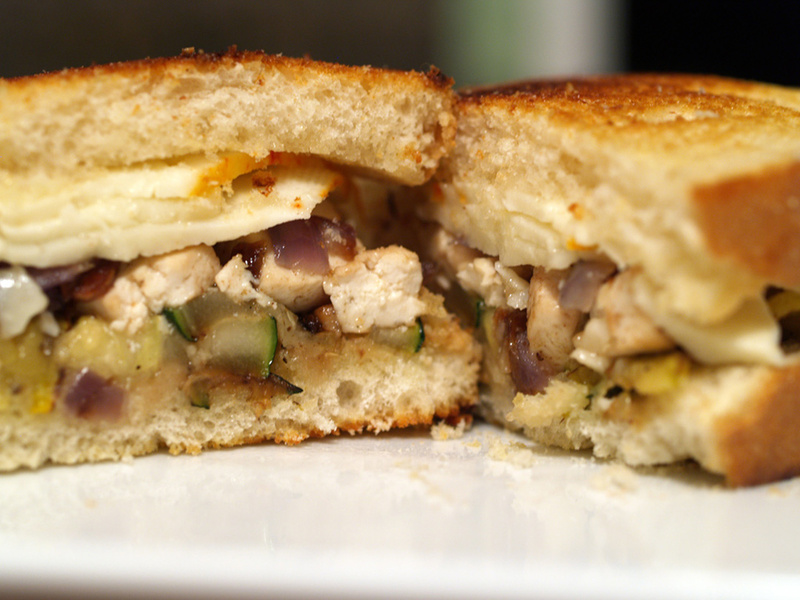 However, when placed together in one grilled cheese, that is when everything fell apart, literally and figuratively. 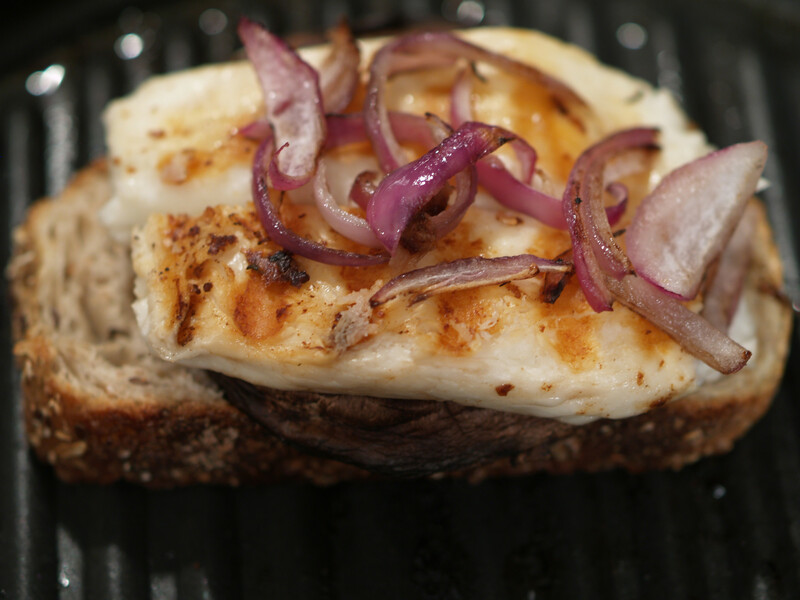 Unfortunately, the portobello mushrooms overpowered the taste of the Halloumi and the red onions were simply non-existent. 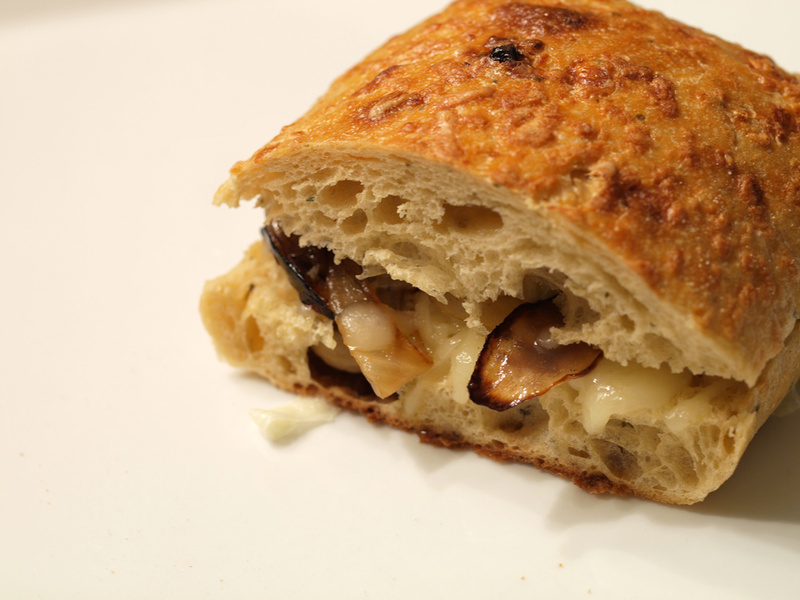 The bread was crunchy on the outside but the interior did not crunch up so it was a little mushy due to the watery nature of the mushrooms. 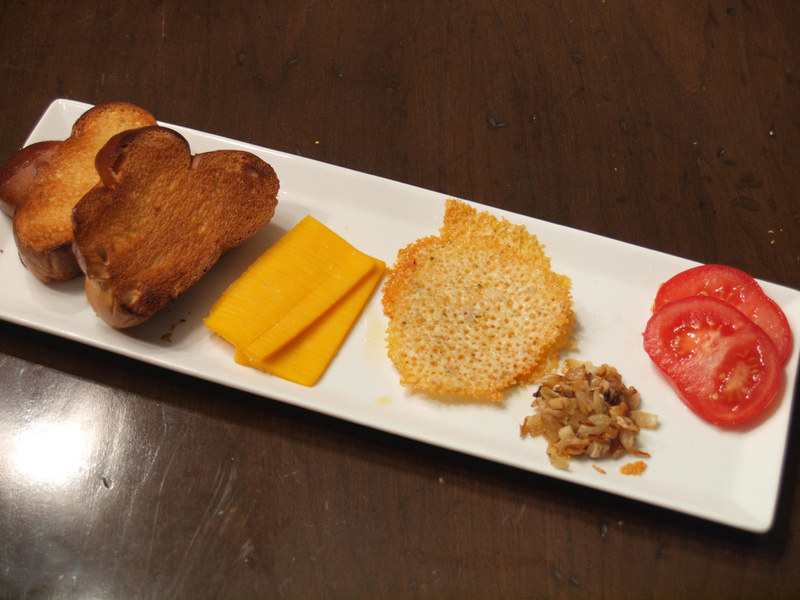 Each piece would have made a great grilled cheese by themselves, however, when added together, the grilled cheese sandwich was not as good as it could been. 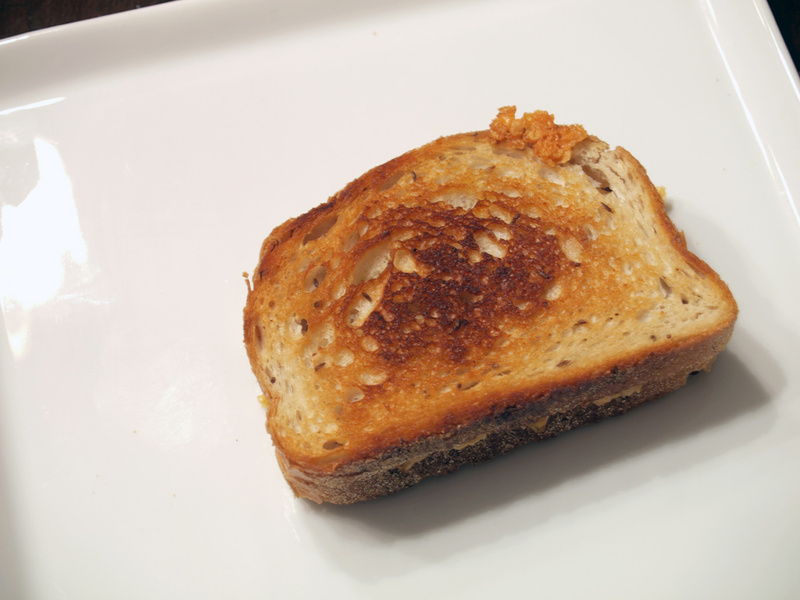 It was not a poor grilled cheese by any stretch of the imagination, it just did not live up to the picture in my head. It looks like my father had a different picture in his head. Cheesiness: C. As mentioned, this cheese does not truly melt at high temperatures so the sandwich was not truly cheesy. The cheese was more of a chunk than a melted goo. Combined Fillings: B-. 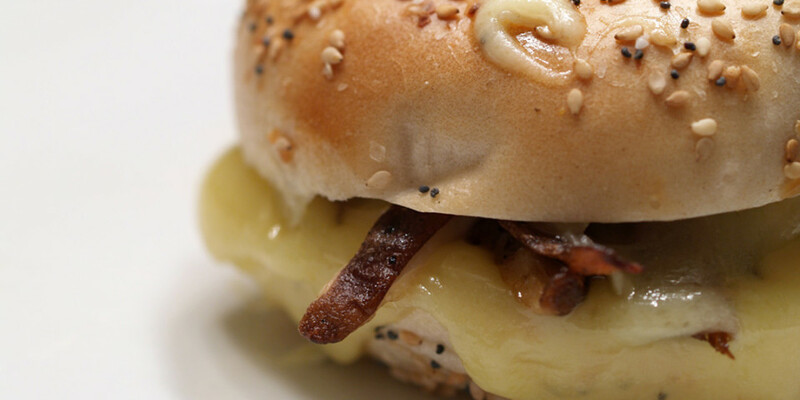 When combined, these individual ingredients tried too hard to stand out instead of meld together. 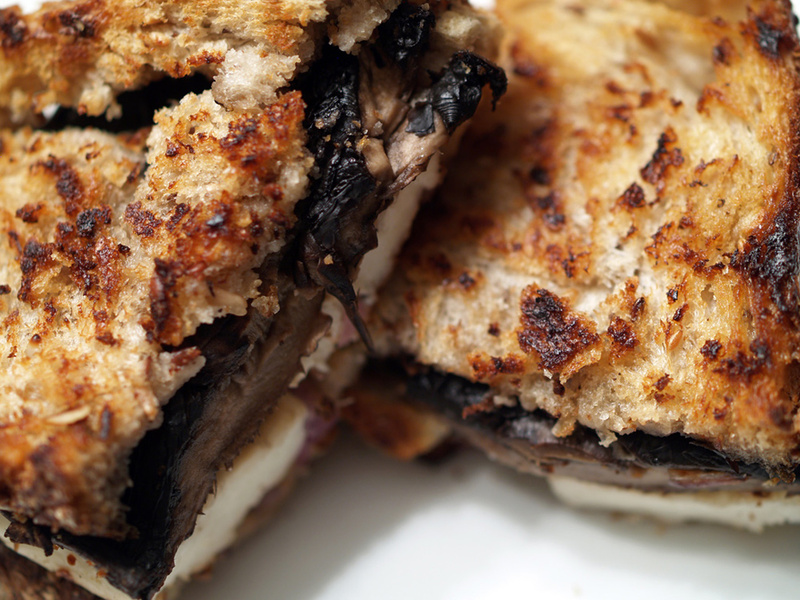 A portobello grilled cheese would have been perfect. 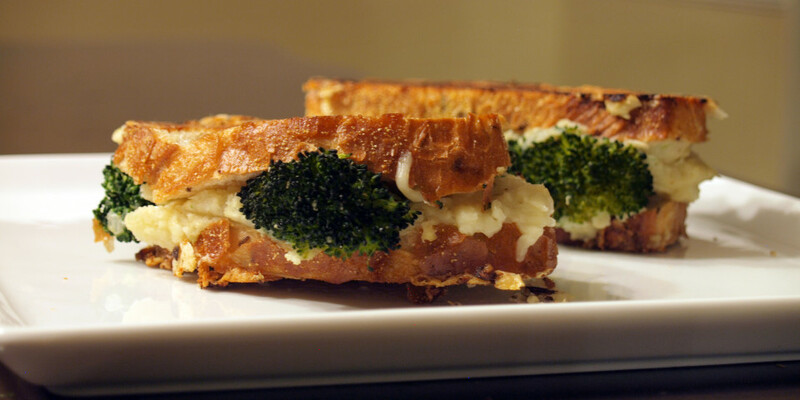 Same with a Halloumi grilled cheese. They were two powerful tastes that just didn’t completely work together.